Microsoft has formally confirmed that upgrade versions of Windows 7 will be available in Europe. "Windows 7 retail boxes will be available in both Full and Upgrade versions via pre-orders through Microsoft online stores where available and our retail partners starting September 1st and at general availability on October 22," said Microsoft blogger Brandon LeBlanc in a post on the Windows 7 Team Blog. As we previously mentioned in the TechRadar guide to upgrading to Windows 7, if you buy a full version at the moment, you'll get it at the same price as the Upgrade version will be. However, Microsoft has now confirmed the end date for this - 1 September - so if you want Windows 7, we reckon you should order it now. 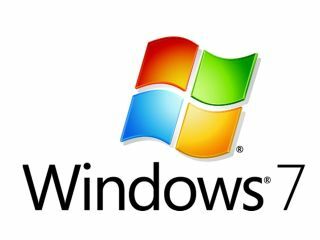 "For customers who have already pre-ordered the full version of Windows 7 E in the EU – either as part of special pre-order offers or otherwise – they will receive full versions of Windows 7 that include Internet Explorer 8," continued LeBlanc. "These customers, and any other customer who pre-orders Windows 7 before upgrade versions are available on 1 September, will still be able to get upgrade pricing for Windows 7 full versions." And what of the ballot screen? "I hope to continue to keep people updated on our ballot screen proposal as we have more to share." On Friday, we reported that Microsoft's Laurence Painell suggested the ballot screen proposal was "probably still pretty fluid". Under the ballot screen proposal, customers in Europe who buy a new Windows PC with Internet Explorer set as their default browser will be shown a ballot screen. Through this, you can easily download and install your chosen browser from the web. Additionally, the Windows 7 Family Pack will now be available in the UK, Ireland, Germany, France, Switzerland, Austria, the Netherlands and Sweden.